After more than 500 photo essays, it is time to convert the photos and words into books. This site is dedicated to discovering and publishing early photographs from the Holy Land. .
had to be evacuated. Note the watertower. Cuter kids may be harder to find than these from Kibbutz Negba. The photo is from the Library of Congress American Colony collection taken 65 years ago in 1946. Kibbutz Negba was founded in 1939 in southern Israel. 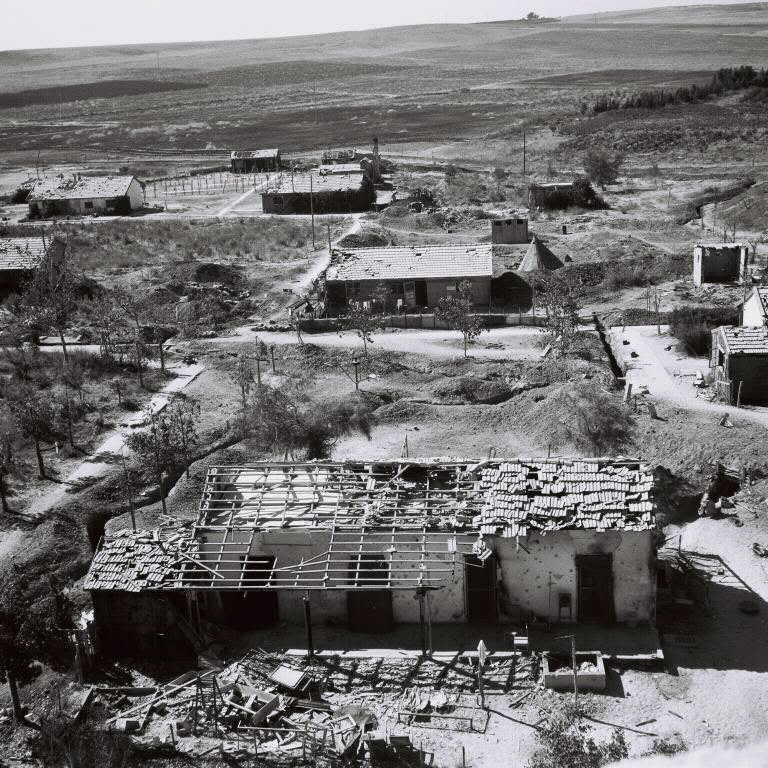 In those days, several settlements were built almost overnight in response to Arab rioting across Palestine and to challenge British mandate restrictions. When the 1948 war broke out, Negba was in the path of the Egyptian army moving north. 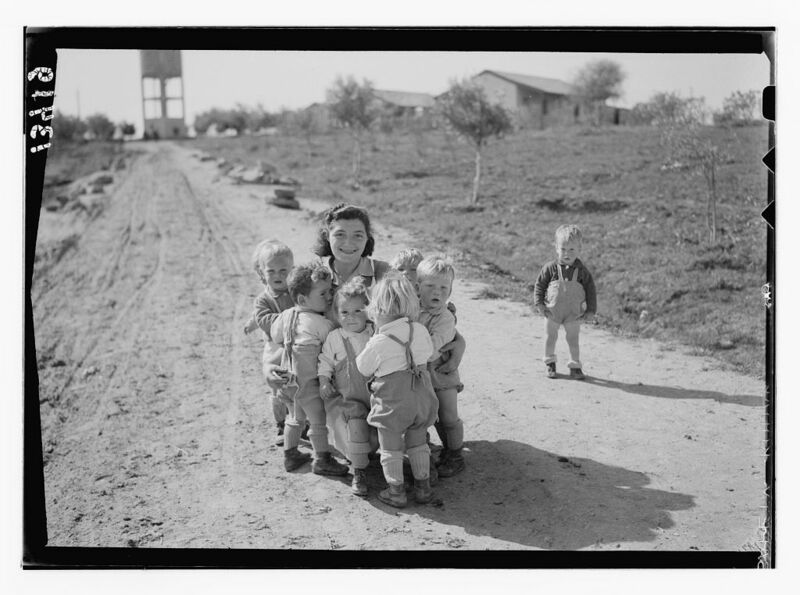 The children were evacuated prior to furious attacks on the kibbutz by the Egyptians and local Arab militias. Forty-three kibbutz members and soldiers died blocking the onslaught. Today, Negba has 700 residents and is in the process of expansion. Although Jewish life in the Holy Land reawakened during the 19th century, photographs of Jews in Palestine and the life they lived there are scarce. Collecting photographs from the archives of the the Library of Congress, the Ottoman Imperial Archives, the New York Public Library, libraries in universities and churches around the world, and in families’ albums, Lenny Ben-David provides a unique and visual history of the American fascination and dedication to a Jewish national home in the Holy Land. Photo essays include fascinating stories such as why Lincoln wanted to visit Jerusalem, how the U.S. Navy saved the Jews of Palestine in 1915, why the Chief Rabbi of Palestine visited the White House in 1924, why there was a Ferris wheel on the holy Temple Mount, Mark Twain's stay in Jerusalem, and much more. Lenny Ben-David has been involved in the study and enhancement of U.S.-Israel relations for more than 40 years. He served as director of AIPAC's Israel office for 15 years, and is the author of Myths and Facts published in 1985 and 1989. Ben-David served as the Deputy Chief of Mission in Israel's Embassy in Washington, D.C for three years, and consulted for foreign governments and other corporations. Ben-David is the Director of Publications at the Jerusalem Center for Public Affairs. He and his wife reside in Efrat, Israel, where they are surrounded by children, grandchildren, and fruit trees. Did you know Robert Kennedy was a reporter in Palestine? Kennedy at the King David Hotel, 1948.